There's never been a laptop like the all-powerful, all-conquering ZenBook Pro 14. It's faster and more sophisticated than ever before, and the jaw-dropping new ScreenPad™ adds a touch of magic to everything you do. With ZenBook Pro 14, you don't have to wait for the future: you can touch it, right here and right now. Screen Extender mode turns ScreenPad™ into a powerful multitasking partner. You can extend your laptop's screen onto ScreenPad™, giving you a dual display in one device. Use it to keep an eye on your social media or email, or as a handy preview screen - the possibilities are endless! To change ScreenPad™ modes, just tap the f6 key to cycle between ScreenPad™ mode, Screen Extender mode and Touchpad mode. 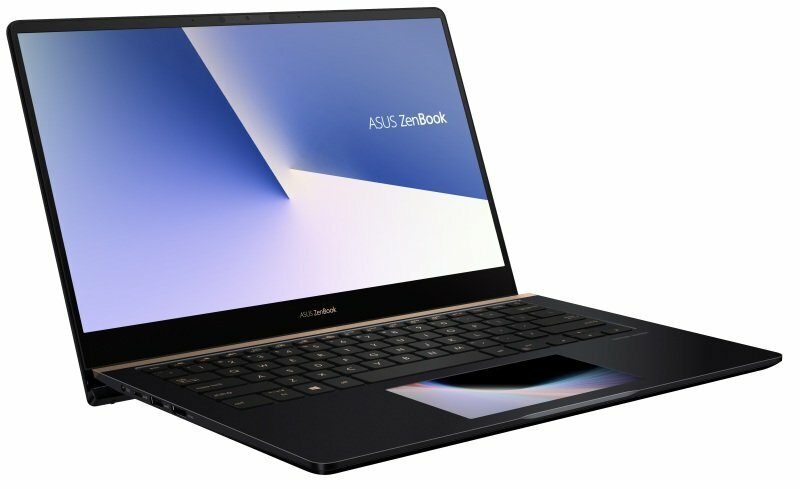 The NanoEdge FHD ultraslim-bezel display on ZenBook Pro 14 is truly awe-inspiring, giving the laptop an impressively thin 5.2mm bezel and 86% screen-to-body ratio. It's gorgeous for everyday use, with incredible pin-sharp detail and bright, vivid colours for more lifelike images. And with factory-calibrated colour accuracy, it's a dream for graphics professionals.